The holy day cycle will begin soon, and we will have arrived at the time of the Feast of Tabernacles and the Last Great Day. 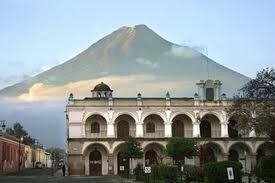 In Guatemala, we will celebrate the Feast in the best tourist location in the country: Antigua. This city is located 45 kilometers (28 miles) from the capital, and around 1,470 meters (4,822 feet) above sea level. 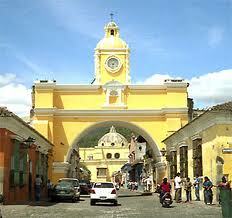 Antigua is characterized by being a peaceful city. Declared by UNESCO as a World Heritage Site in 1979, one of its main distinctive features is the colonial architecture of its residential buildings. It is in front of two volcanoes: the water volcano and the fire volcano. It is also surrounded by a lot of vegetation, which makes the city very pleasant during Feast time. Throughout the year the weather is warm, between 21 and 22 degrees Celsius (70 and 73 degrees Fahrenheit). As a tourist city, Antigua has a variety of hotels for lodging, restaurants, services, communication, laundry, pharmacies and banks. Lodging options include renting a furnished apartment or house. You can easily find these and more online. The hall for services this year is located in the urban head of the city. You can travel there in taxi, on foot or by any other means of transportation. If you decide to go to Antigua, it will be a pleasure to have you with us and spend a wonderful time together at our Creator’s great Feast! For contact purposes, you can communicate with the local pastor, Luis Mundo Tello, by email at luis.mundo@cogwa.org or by telephone at 00-502-2256-4571. We would like to receive news from our visitors before July 2019. Your family in Guatemala hopes to see you soon!